Click here for 7 full quotes on Abortion OR background on Abortion. Click here for 10 full quotes on Budget & Economy OR background on Budget & Economy. Click here for 2 full quotes on Civil Rights OR background on Civil Rights. Click here for 3 full quotes on Corporations OR background on Corporations. Click here for 2 full quotes on Crime OR background on Crime. Click here for background on Drugs. No issue stance yet recorded by OnTheIssues.org. Click here for 2 full quotes on Education OR background on Education. Click here for 5 full quotes on Energy & Oil OR background on Energy & Oil. Click here for 3 full quotes on Environment OR background on Environment. Click here for background on Families & Children. Click here for 2 full quotes on Foreign Policy OR background on Foreign Policy. Click here for the full quote on Free Trade OR background on Free Trade. Click here for 8 full quotes on Government Reform OR background on Government Reform. Click here for the full quote on Gun Control OR background on Gun Control. Click here for 5 full quotes on Health Care OR background on Health Care. Click here for 3 full quotes on Homeland Security OR background on Homeland Security. Click here for 2 full quotes on Immigration OR background on Immigration. Click here for 3 full quotes on Jobs OR background on Jobs. Click here for the full quote on Principles & Values OR background on Principles & Values. Click here for the full quote on Social Security OR background on Social Security. Click here for 4 full quotes on Tax Reform OR background on Tax Reform. Click here for 2 full quotes on Technology OR background on Technology. Click here for 3 full quotes on War & Peace OR background on War & Peace. Click here for the full quote on Welfare & Poverty OR background on Welfare & Poverty. Trey Gowdy is a Libertarian-Leaning Conservative. Click here for explanation of political philosophy. Click here for VoteMatch quiz. 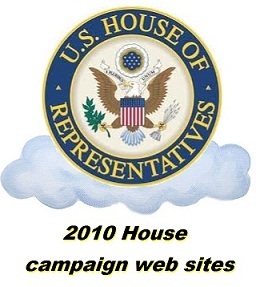 OnTheIssues reports on issues, and has no contacts with campaigns except as linked above. Reproduction of material from any OnTheIssues.org pages without written permission is prohibited. Copyright © 1999-2018 OnTheIssues.org , all rights reserved. Or click for More Info.